Let’s cut right to the chase. We want to see you experience extreme SMS marketing success in 2016. We want your offer redemption rates to go above and beyond the norm. We want your campaigns to be a shining example of what happens when SMS marketing scores a slam dunk. So long story short, there’s only one thing that stands between this kind of success and your campaigns: a lack of personality. Imagine that? 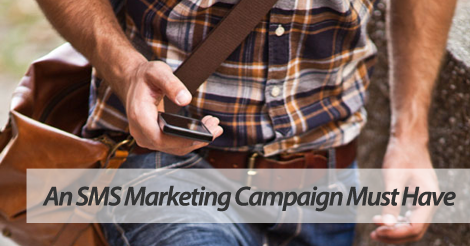 We’re actually telling you to infuse a little bit of human into your SMS marketing campaigns. See, 2016 is the year of authenticity, at least in the marketing realm. We want all our customers to embrace this element, and use it to spice up their SMS marketing campaigns. Now, first things first, always make sure you’re always following proper compliance standards. We don’t want you breaking the law for the sake of personality. But, keeping all that in mind, we urge you to inject your SMS marketing campaigns with a dose of fun. Outside of compliance, don’t feel like you have to use certain words or phrases. This also applies to your mobile offers and coupon codes. Think outside of the box. Come up with irresistible offers that stay in line with your brand. Now, let’s say you’re ready to give this whole authenticity thing a try, but are a bit unsure about a specific idea. Give us a call. We’ll make sure all your campaign ideas fall within the realm of proper compliance. Partner up with the best SMS marketing service, Slicktext.com. Give us a ring today at 1.800.688.6290, or head over to our pricing page and sign up for a free plan. Our feature rich platform empowers every single customer to succeed at SMS marketing. We won’t leave any customer behind. Your success is our top priority.